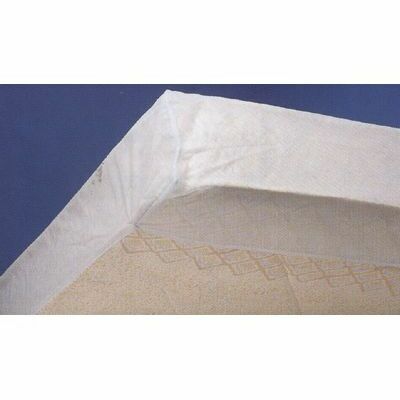 Reduce excessive replacement bills and labour with our Mattress Cover LW. Made in like with our other incontinence products, this waterproof cover has been manufactured from PVC to help with the protection of the mattress beneath. It's box style promises to fit snug, avoiding the risk of leaks or stains seeping through while still being comfortable underneath sheets to ensure the best nights sleep. When soiled, it can be removed easily and is suitable for both hand and machine washing - perfect for all different residential homes and their available resources. This mattress cover is suited to light soiling and provides peace of mind to both your residents and maintenance teams. Dimensions: 6.3" x 4.6" x 7"
We also have a range of additional waterproof items available including our Economical Bed Pad with Flaps and our Draw Sheets, all at exceptional wholesale prices.